Nice concept for the movies, arts, cinema, or film. 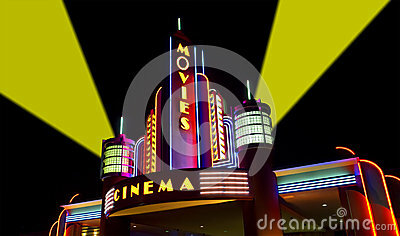 Seen here is a modern movie theater with a retro look. Or should we say theatre?